Tell your friends! Tell your neighbors! Bring the kids! 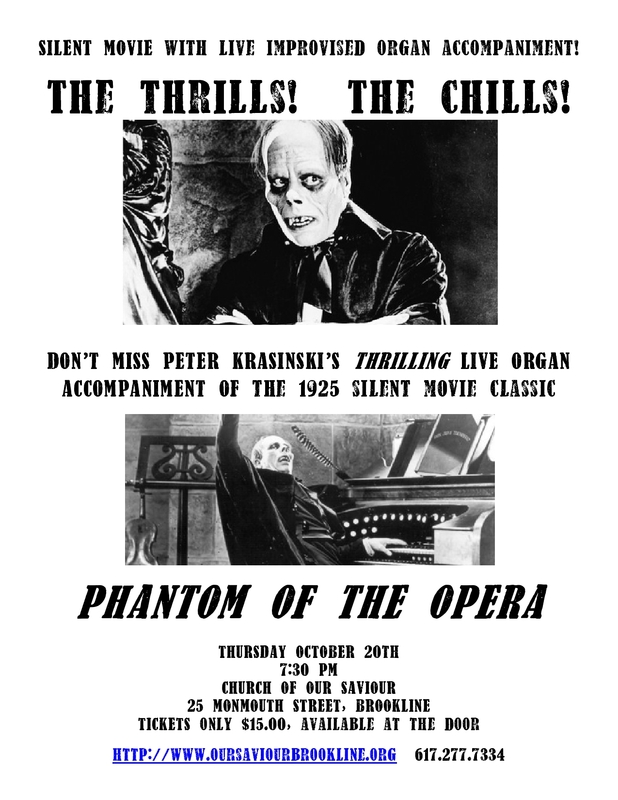 Peter Krasinski is at it again- Silent Movie with LIVE Organ Accompaniment! Tickets are only $15. The fun starts at 7:30pm. Bring the family and enjoy yourself, Peter always puts on a really good show. Comment or email me if you’d like a copy of the PDF poster to email to friends and family or to print out and put up at work/scare the kids with.